There are so many family oriented sedans on the market that offer supreme comfort, state of the art technology, and even some pretty interesting design schemes. So then what is it about the Volkswagen Passat that has buyers intrigued? Because its charming good looks certainly isn’t enough to bring buyers into the showroom floor. While some manufacturers went and had some fun with their design departments, Volkswagen wanted to keep things low key, subtle. In this case, perhaps they went a little too subtle. There is nothing wrong with a simple, clean line design – that’s what we liked about the Subaru Legacy and the new Hyundai Sonata. But even with the Platinum Gray Metallic Paint fitted to our tester, it starts to set the mood for what VW had in store for us. On our first night with the Passat, we found ourselves doing what everybody else was does at 5:30pm, stuck in traffic – this allowed us the time to admire the Passat’s dreaded interior. There isn’t a single item on this sedan that we could find interesting – perhaps that’s a safety measure, it keeps your eyes on the road. If there is anything good to come out of the Passat, it’s that, it’s not half bad to drive. Power from the 1.8-liter turbocharged four cylinder engine is about as interesting as an Architects night life. However, compared to its previous 2.5-liter five cylinder, the 170 horsepower found in the new Passat is much more refined and smoother. Using all 184lb-ft of torque, the Passat sprints to 60 mph in about 7 and half seconds through a wonderfully engineered six speed automatic transmission. German engineering at least, has not failed the Passat’s driving dynamics. For a family sedan, the Passat has a fairly decent chassis. Using the most featureless steering wheel, the Passat provides a good range of feedback and road feel – the turns are decently receptive to the driver needs. It’s of no surprise that the suspension is set up for comfort, the Passat expresses some body roll in the corner – but that’s expected. And while the brakes are fairly adequate, there is a significant amount of playroom in the brake petal. This then leads us to the Passat’s dreariest piece, its interior. We could go on and on with how much we distaste this interior, but we’re not that cruel. The good thing is, the Passat is designed to be accommodating, seating is exceedingly comfortable and rear leg room is epic. Final fit and finish isn’t half bad either, the leather wrapped steering wheel has a good feel and the buttons have a good quality presence to them. Part of the Wolfsburg Edition featured leatherette interior with heated front seats, a power adjustable driver seat, Bluetooth Connectivity and Satellite Radio. Ideal for long hauls, and since the weather was gloomy, we happily enjoyed the heated seat feature. Let’s talk fuel economy. That’s an important feature in the mid-sized sedan market. Because the Passat is Volkswagen, and Volkswagen has some of the best engineered cars on the planet, the Passat is capable of producing 24/36/28 (city/highway/combined). During our week, we recorded 27 mpg combined and an impressive 550 miles of range on regular unleaded fuel. There is a lot to be disappointed about with the current generation Passat – the driving dynamics isn’t one of them. 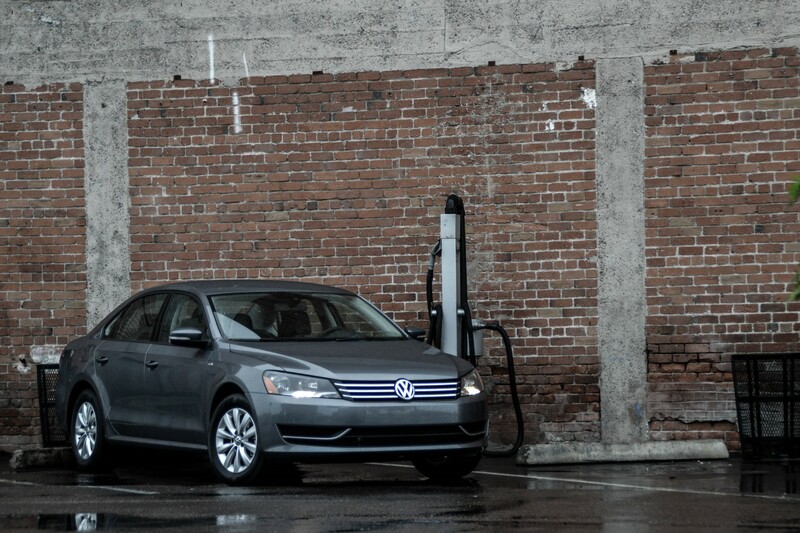 During our duration, the Passat exceeded our initial expectations of driving gratifications for a family sedan and with the ability to drive over 550 miles on a gas engine is exceptional. All we ask of Volkswagen is it to bring some life to the Passat, keep the chassis and the engine, you’ve nailed that part.